See DisclaimerTo be purchased as an option with an applicable Salsbury product. Not available for individual purchase. How many tenant doors do you need? USPS Approved or Private Delivery? Front Loading or Rear Loading? 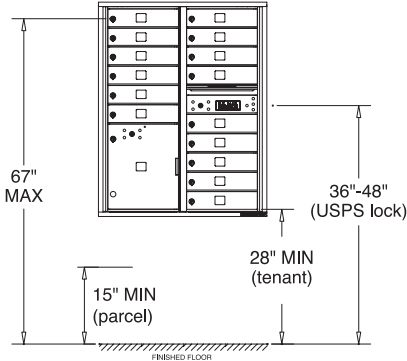 If your installation is for USPS delivery and contains any tenant compartments in the bottom row, the minimum height from the floor is 28 inches. If your installation contains no tenant compartments in the bottom row, you have the option to install at a minimum of 15 inches from the floor to be compliant with ADA and USPS requirements. 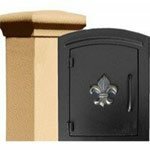 As we mention in USPS Approved or Private Delivery?, any 4C mailbox on Budget Mailboxes listed as USPS approved already meets these specifications, so your only concern would be to ensure that your installation location is configured properly for the specific 4C you intend to purchase and install. Rather than assigning mailbox ID plates that match apartment or house numbers, sequential or standard numbering may help you meet the accessibility regulations related to your project. Standard numbering may also provide greater security and privacy for residents who do not wish for their home or unit address to be displayed on a specific tenant box. 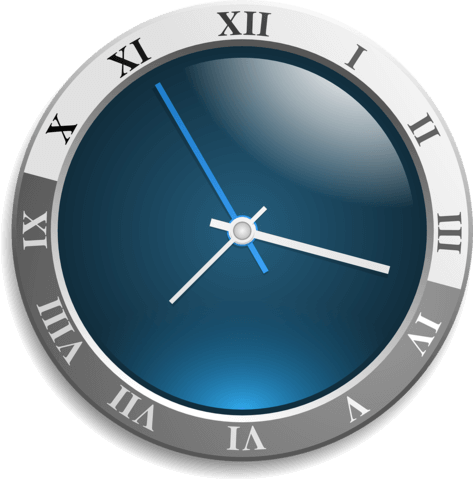 Even so, custom numbering and custom engraving are each available as additional options if standard numbering will not suit your needs. 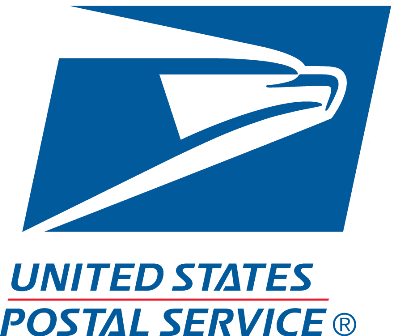 For more information regarding USPS regulations and our available 4C door height configurations, please see this detailed page. The 4C Horizontal is the industry standard for recessed mounted centralized delivery. Unlike the CBU, the 4C unit is usually recessed in a wall, indoors or outdoors, or in a kiosk (typically outdoors). However, you can purchase the 4C with a surface mount collar or free-standing kiosk if you do not intend to install the units into a wall. These can be purchased with or without parcel lockers for package delivery, and can be selected for either USPS or private delivery. 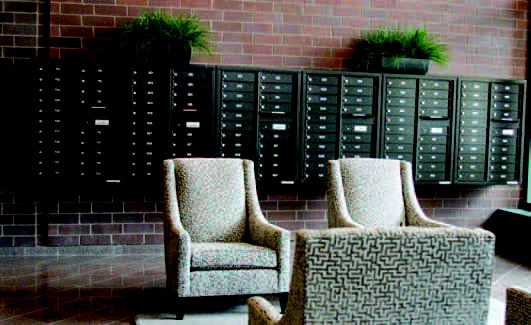 Available in a variety of door configurations and architectural colors, the 4C mailbox is an ideal solution for apartment complexes and commercial buildings. 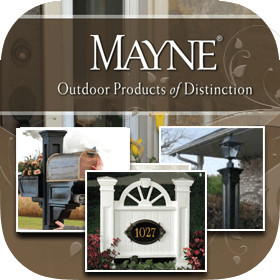 In our product description below, you will find information covering a variety of common 4C mailbox questions as well as detailed specs that you can apply to your next new construction or renovation project. 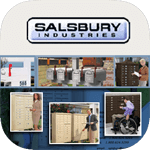 Salsbury Industries provides an unrivaled five-year warranty on its products, from the date of shipment when purchased from an Authorized Salsbury Dealer like Budget Mailboxes. Click here to view full details on the product warranty or call us at (866) 707-0008 if you still have questions. 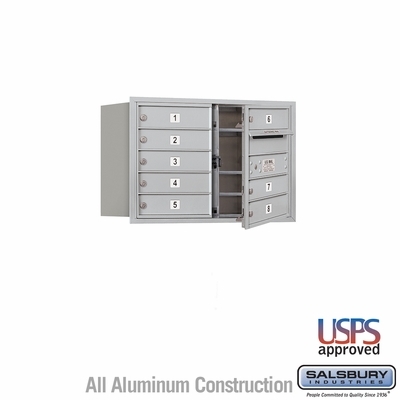 4C mailboxes are designed to meet or exceed the USPS specifications. See here for more details. This may be the most common question guiding a customer's search for the right 4C mailbox, as it should be. The options are diverse: you can purchase a single 4C mailbox for 1 tenant or configurations with 20 tenant boxes and 2 parcel lockers. 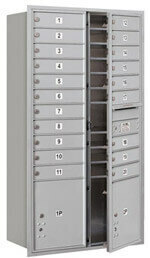 Do you need parcel lockers included with your mailboxes? 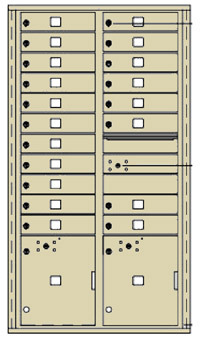 Note: the USPS requires one parcel locker for every ten (10) tenant boxes, which is why we sell multiple 4C configurations that already include the required number of parcel lockers. 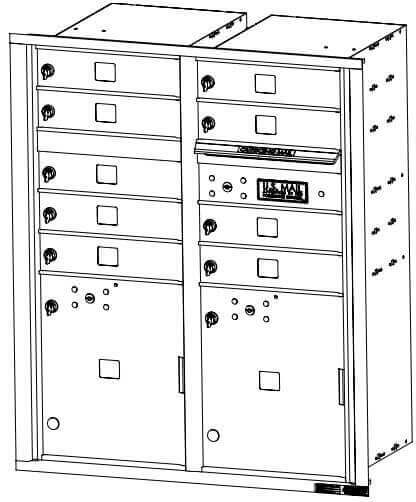 If you purchase 4C mailboxes without parcel lockers, we recommend choosing recessed parcel lockers in the same height class so that the two units will match aesthetically (see more info on Height Classes). (Note: if you find any of this confusing at first, don't worry. We cover these topics in Installation Types and Options below). 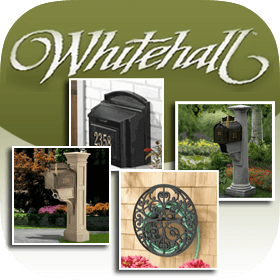 A mailbox for private delivery doesn't have to meet any of the USPS regulations since it will be serviced by an in-house mail department. This is most common with universities, dorms, or organizations that distribute mail in-house. 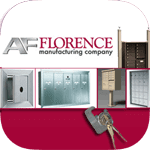 If you purchase a commercial mailbox for private use, the appropriate lock will be installed and keys will be included with the unit. 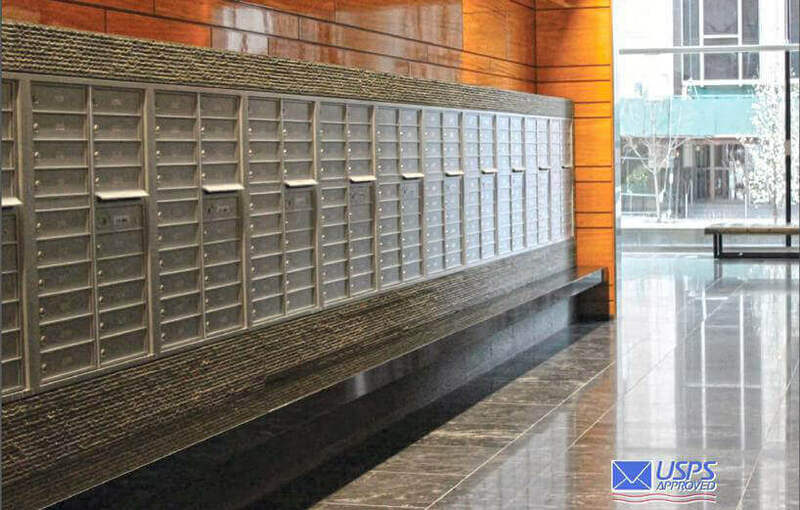 If you want the gritty details on USPS specifications, we recommend you visit this article as it contains a thorough overview of height regulations, ADA compliance,* and how to choose mailboxes in the same height class (typically for architects or developers). 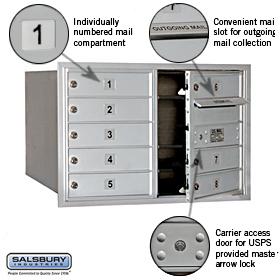 Front-loading mailboxes include a Master Loading Door prepared for the USPS Arrow Lock, which provides easy access to all compartments by the US mail carrier. Note: the USPS provides and installs their arrow lock, so you will not find arrow locks included with your mailbox. 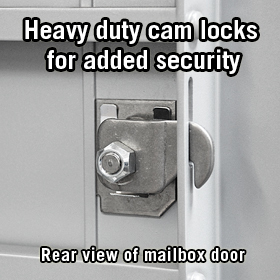 Front-loading units are usually more common, whereas rear loading units tend to be less common as they require the mail carrier to load and retrieve mail from a secure room located behind the recessed mailbox (more about rear loading below). If you haven't already guessed, the rear-loading mailbox is accessed from the back. 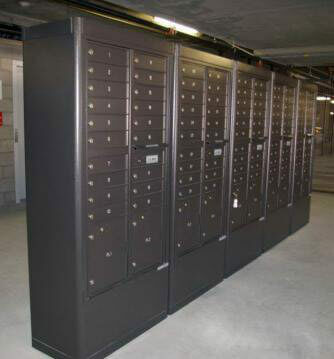 These mailboxes include hinged and latching rear doors that are accessed by a secure mail room for USPS use. They do not have a front master loading door. 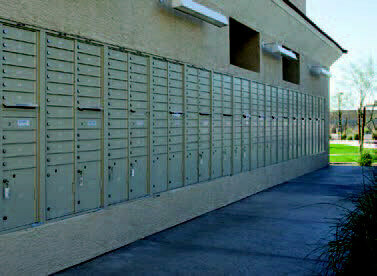 Since there is no locking mechanism on the rear doors, a secure mail room behind mailboxes is required to keep mail secure. If you still aren't sure whether you need a front or rear loading configuration, contact us and we will help you decide on the best option to fit your specific needs. Step 1 - Select "Custom Layout Required" from the dropdown option labeled Door ID Layout. Step 2 - After you place your order, we will email you the layout form for you to customize. Step 3 - After you've completed and signed the form, email it back to us and we will finalize your order. Important: To ensure a custom layout is processed correctly, we ask that you complete this form after completing your purchase. For your convenience, we will also email you a copy of the form after your order is placed (note: this only applies if you select Custom Layout from the dropdown options). Customers purchasing a 4C Mailbox with Standard Numbering or Custom Numbering applied top-down from left to right do not need to fill out this form. 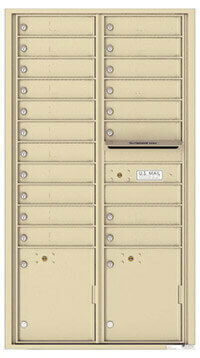 Decals: All 4C commercial mailboxes come standard with silver adhesive decals 1.5 inches high by 1.75 inches wide. Black lettering can contain up to five characters per decal. Engraving: Custom engraving utilizes the USPS Standard US Block font with up to 12 characters per line. This ¾ inch high engraving may be created with or with ut one of two color fill opt ons (white or black). 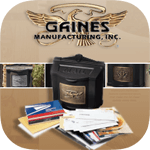 Note: 4C mailboxes selected with custom decals or engraving usually ship in three (3) weeks. 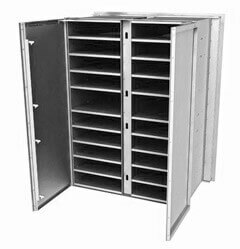 All 4C Horizontal Mailboxes are sold as recessed units, meaning that they will be installed into a wall. The installation requirements are usually set out in the development's architectural planning. We provide detailed technical docs for each 4C Door Height class as well for each individual 4C model within those classes. Check the Related Downloads tab for available specification documents or, if you can't find what you're looking for there, give us a call at (866) 707-0008. If you do not intend to recess your 4C Mailboxes into a wall, you can mount them to the wall directly using a surface mount collar. The collar is installed to the wall, either indoors or outside, and the matching 4C mailbox is recessed into the collar instead of the wall itself. This is sometimes a more practical solution for developments where recessing into a wall is not possible or for limited wall-depth projects. 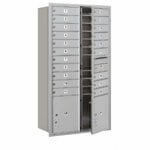 In addition to a surface mount collar, customers also have the option to purchase a free-standing mailbox depot. You do not have to mount these depots (or mail kiosks) to a wall, but can place them in a convenient location either inside or outside the building, provided the location meets local USPS requirements for delivery. You would then recess the 4C mailbox into the depot enclosure. 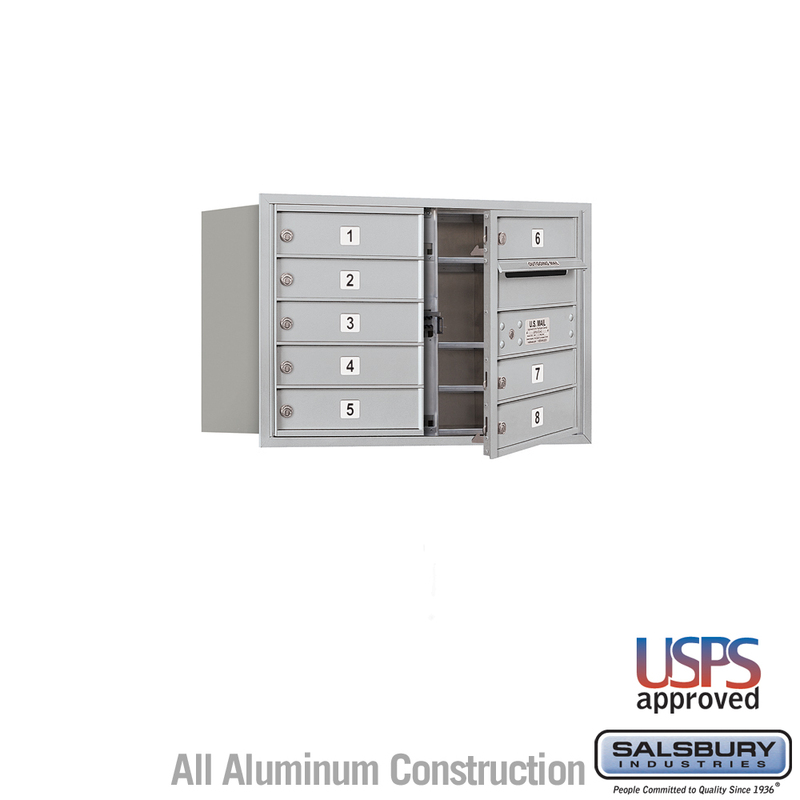 Salsbury 4C Mailboxes are currently available in four (4) different color options. The colors are listed below along with their corresponding mailbox swatch. Need help finding the right color? Give us a call or open a chat with one of our reps and we can help guide you to the specific color you need. At least one customer compartment shall be positioned less than 48 inches above the finished floor. No parcel locker compartment (interior bottom shelf) shall be positioned less than 15 inches above the finished floor. No customer lock shall be located more than 67 inches above the finished floor. No customer compartment (interior bottom shelf) shall be positioned less than 28 inches above the finished floor. The USPS Arrow lock shall be located between 36 and 48 inches above the finished floor. To view more details regarding installation requirements, visit this page in our resource center. 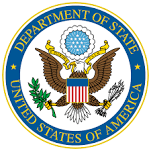 Accessibility regulations may vary by the type of facility and by governing jurisdictions in your region. Therefore, always consult local building officials and codes for accessibility requirements that could affect your mailbox project. Looking for a different document? See our full list of printable PDFs. Note: Installation instructions are provided as general guidelines. We advise all customers to consult a professional installer. 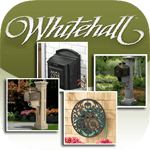 Budget Mailboxes assumes no product assembly or installation liability. Need instructions for replacing 4C parts? Access the full 4C Maintenance Sheet here.